In the closing minutes of that slugfest in Ottawa Sunday night — and slugfest might be too tame of a description — Brandon Prust crosschecked Cory Conacher. The former Tampa Bay Lightning fan favorite skated away, but Montreal’s Brendan Gallagher, likely angry as his team was on the receiving end of a 6-1 beatdown by the Senators, took the opportunity to fight with the former Canisius forward. It was a three-second clash between two high-profile rookies, both Calder Memorial Trophy candidates all year, and the battle for the top first-year player was far more intense. Is it as intense as the 232 minutes produced in Game 3 of the Montreal-Ottawa series? Maybe. The NHL announced its three finalists for the Calder on Monday, and Florida Panthers forward Jonathan Huberdeau was among the trio who made the cut. Huberdeau, 19, being a finalist is no surprise. After all, we all saw him set the tone early by scoring against Carolina on the first shot of his NHL career. Huberdeau’s numbers stack up well with the rest of the Calder competition, which just so happens to be Gallagher and Chicago Blackhawk forward Brandon Saad. 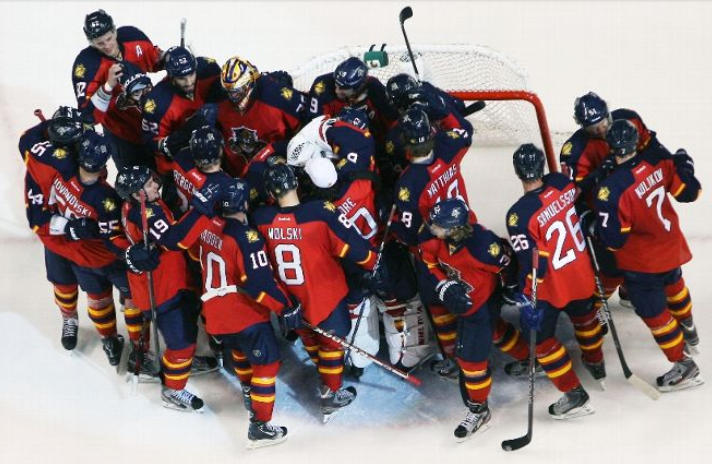 Huberdeau was durable, playing in all 48 games for the injury-riddled Panthers. He was productive, too — tallying 14 goals and 17 assists, which tied him as the league’s top scoring rookie with Edmonton’s Nail Yakupov, last year’s first overall pick. The Quebec native, along with Kid Line teammates Drew Shore and Peter Mueller, gave Florida an offensive spark that was its best weapon on most nights. Huberdeau, the only NHLer to score on two penalty shots, also had three assists in the season finale in Tampa and created a few highlight-reel moments that should help him in the voting. Just ask Ilya Bryzgalov. As for Huberdeau’s competition, both have benefited from playing on far better teams and surrounded by better talent. Gallagher, a 21-year-old winger, had 15 goals and 13 assists in 44 games on a Montreal club that was very good for most of the regular season, though they struggled on defense at the end and are currently being manhandled by Ottawa through three games of their Eastern Conference Quarterfinal. Saad, 20, had the good fortune of playing on a stacked team that was the best in the NHL during the regular season. 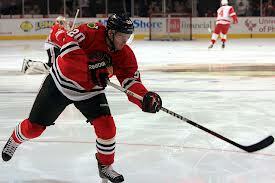 A native of Pittsburgh, Saad had 10 goals and 17 assists in 46 games. The Calder choice will be a close fight and discussed much longer than the brief bout between Conacher and Gallagher, but perhaps native son Huberdeau can garner some of the Quebec media votes away from Gallagher to claim the prize as the league’s top rookie. It would be a nice reward, along with the No. 2 overall pick next month, to cap off a Florida season that was downright wretched. 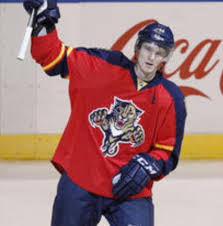 With what’s on the horizon for the Panthers in terms of young talent — names like Bjugstad, Petrovic, Trocheck, Rau, Grimaldi and whoever gets chosen June 30 in Newark — Huberdeau might just be starting a new Florida tradition over the next few years.